Proprietary Name: Galaxyborn Satin Cushion No 21 What is the Proprietary Name? 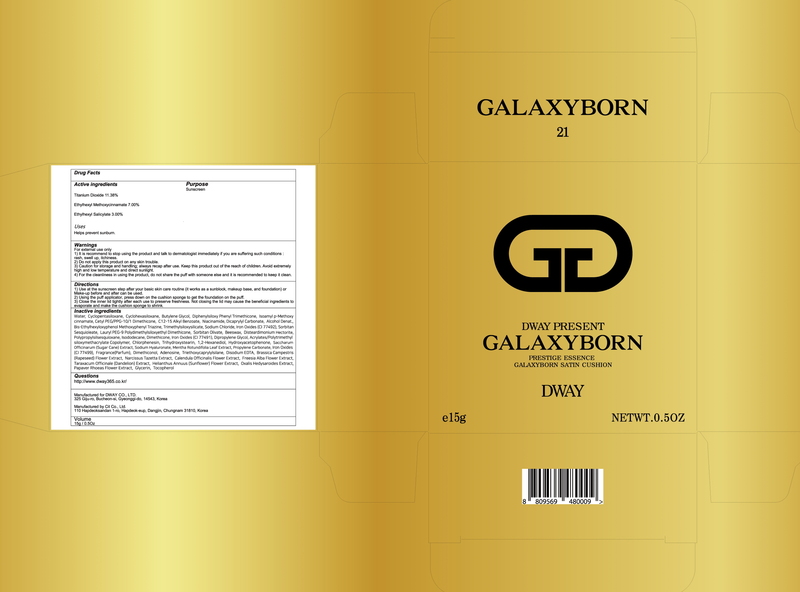 Galaxyborn Satin Cushion No 21 with NDC 72256-010 is a a human over the counter drug product labeled by Dway Co Ltd. The generic name of Galaxyborn Satin Cushion No 21 is titanium dioxide, octinoxate, octisalate. The product's dosage form is powder and is administered via topical form.